The fresh-water mussel (Unio mancus), a bivalve mollusc, can grow as long as 10 cm and lives in the mud or in the sand of the river-bed. U. mancus is edible. 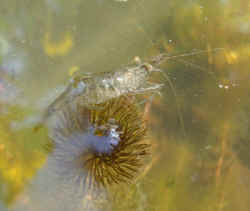 The river shrimp (Palaemonetes antennarius), a small crustacean which can reach lengths of 3 cm and which feeds on algae and aquatic plants. Another crustacean, this time much harder to find, is the river crab (Potamon fluviatile), the carapace of which can be as wide as 10 cm. 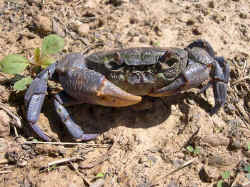 These crabs differ from freshwater crabs found in Africa and Asia in that they do not have to return to the sea to breed. As little as twenty years ago, they were much more widespread in Italian rivers than they are now but they are still to be seen both in and often out of the water in the upper reaches of rivers, including in the seasonal torrents known as borri. They vary considerably in colour between individuals and seasonally. The nature park at Valle del Treja near Rome is another river crab habitat and they have been reported recently even in the ancient Roman water ducts in central Rome. A great many insects populate the river, and their larvae are even more numerous. 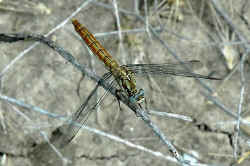 Among them are dragonflies, caddis flies and mayflies. 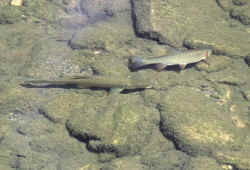 Many vertebrates also inhabit the the Elsa, and it is easy to come across some of them along the banks and in the river. The chub (Squalius cephalus, also known as Leuciscus cephalus) is the most common fish found in the Elsa. There are great numbers of chub in this river (often mistaken by non-fishermen for trout), along with barbel (Barbus sp.) and carp (Cyprinus carpio), a fish which can grow up to 15 kg in weight in this area. The Arno goby (Padogobius nigricans), a type of gudgeon known locally as ghiozzo di ruscello, is the most unusual fish to be found in the Elsa. 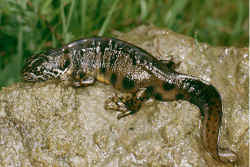 In the streams and borri running into the Elsa and in the headwaters of the Elsa itself, there is no shortage of amphibians, including the Italian crested newt (Triturus carnifex), which can be quite large (20 cm) and the spotted newt (Triturus vulgaris). 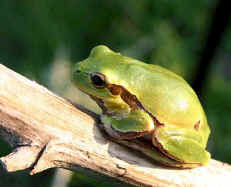 In summer, these are usually observed resting on the bottom of pools of water. The common toad (Bufo bufo) is abundant and there are tree-frogs (Hyla intermedia), the only tree-dwelling amphibian in Italy, as well as the common green frog and the Italian jumping or agile frog (Rana latastei), so-called for its capacity for prodigious leaps. 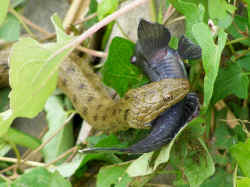 During summer, two species of snake are commonly seen swimming. These are the grass snake (Natrix natrix), also known as the ringed snake from the characteristic yellow ring behind the head, and the Dice snake Natrix tessellata, both of which are timid and completely harmless. 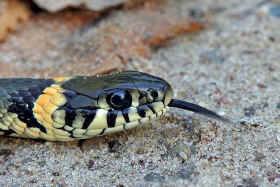 The grass snake lives predominantly on frogs and hence is so common near water that it is also called the water snake. The Dice snake eats fish by preference. The common viper (Vipera berus) is sometimes seen warming itself on rocks near the river. During winter, all three species hibernate and are rarely seen. There are several species of riverine bird to be seen in the Val d'Elsa, drawn by the abundance of nesting places and food, including a very fine species of grey heron (Ardea cinerea), which has a wingspan of almost 2 m, and the Little egret (Egretta garzetta), which are seen only in the winter. One can also spot the wild duck (Anas platyrhynchos) and the moor-hen (Gallinula chloropus), the wagtail (Motacilla cinerea), and finally the kingfisher (Alcedo atthis), easily recognized by its bright plumage, which is blue-green on its back and orange underneath. The only aquatic mammal present in the Elsa today is the nutria or coypu (Myocastor coypus), a large, South American rodent imported into Italy after WW II and raised for its fur. Nutria are around 50 cm long and became widespread as a result of floods that destroyed the farms along a number of rivers where they were kept and bred, thereby releasing these animals into the wild. 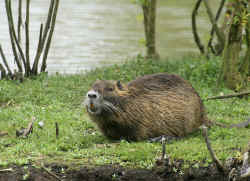 They are now an invasive pest and in Italy during 1995-2000, for example, despite control activities involving the removal of 220,000 nutria at a cost of over 2.5 million euros, damage to the riverbanks due to burrowing exceeded 10 million euros value and impact on agriculture reached about 1 million euros. 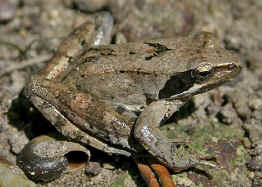 These are observed mostly in the river with the nose, eyes and a small amount of back showing. There is a wide range of terrestrial mammalian species in the woodlands of the Val d'Elsa, including field mice, voles, several species of bat, squirrels, hedgehogs, porcupines, martens, hare, various species of deer, and wild boar. 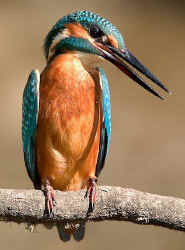 For pictures please refer to Tuscan wildlife and Bed & Breakfast Il Cielo.